It will be cloudy weather in Lancaster today. The temperature is expected to peak at around 22° C (but it will feel like 20° C due to the wind chill factor). There is a slight chance of it pouring down today (roughly a 4% likelihood). Humidity will be approximately 45%. The visibility today will be good. You should be able to see places as far as 10 to 20 km away (6.2 to 12.4 miles). The wind speed today (noon) will be approximately 9 mph (gentle breeze), blowing south east. It is going to be clear weather in Lancaster tonight. The minimum temperature is going to be 11° C (but it is going to feel like 11° C). There is only a small chance of rain tonight (4 percent to be precise). Humidity will be around 59 %. The wind speed tonight will be approximately 2 mph (light air), blowing north north east. It will be partly cloudy in Lancaster tomorrow. The highest temperature in the daytime is forecast to be 20° C (it will feel like 19° C). There is only a small chance of rain tomorrow (1% to be precise). Expect humidity of approximately 48%. The visibility level tomorrow is expected to be very good. From a good vantage point you should be able to see for 20 to 40 km (12.4 to 24.9 miles). The wind speed tomorrow at noon is forecast to be 2 mph (light air). The wind direction will be west south west. A 5-day weather forecast for Lancaster is shown in the table below. The weather forecast for Lancaster is based on data provided by the Met Office for the location shown on the map below. The weather in other areas of Lancaster may vary slightly. Based on the weather forecast for today, Friday 19th April 2019, outdoor activities will probably be most appropriate. This is because the Met Office forecasts that at noon today in Lancaster it will be cloudy with only a 4% (low) chance of rain. Happy Mount Park - One of the best parks in North West England. 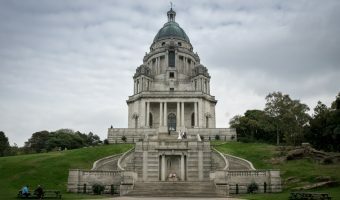 Williamson Park - 54 acre public park overlooking the city of Lancaster. 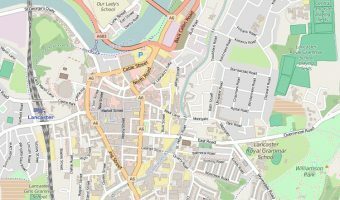 Interactive map of Lancaster. Includes hotels, tourist attractions, transport links, and more. View sunrise and sunset times for Lancaster.